*Avoid choking hazards for early weaners! Remove the skin from the pear (I did not for our 11 month old), and chop the cucumber more finely than shown in post above. 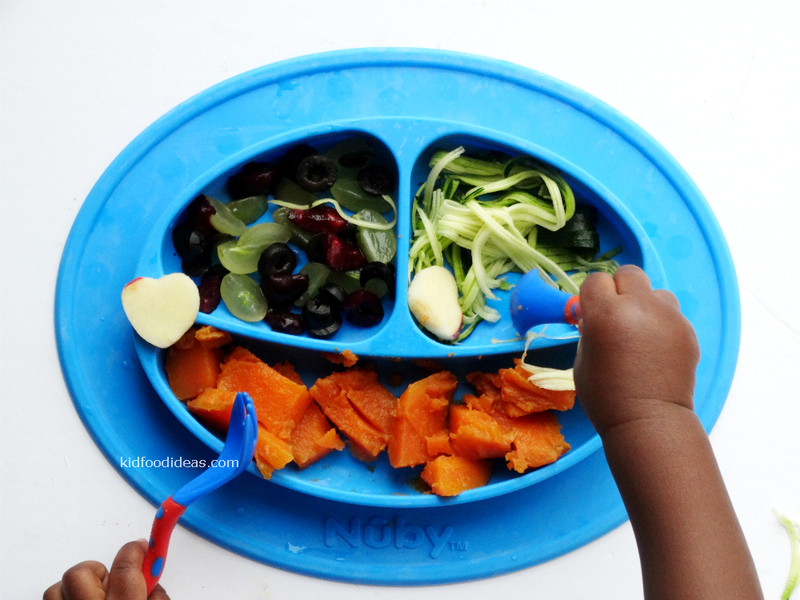 I added the remaining portions to my Kiddo Feedo silicone freezer tray.